INFORMATION AND GUIDANCE: To inform consumers about their rights and obligations as consumers. 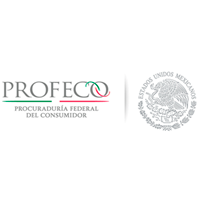 Cases outside of PROFECO purview will be referred to the appropriate authority. ADVICE: To provide legal advice on the rights and obligations of both consumers and providers in order to balance consumer relations, allowing those seeking consultation to know whether or not their claim is viable and to be able to resolve them. IMMEDIATE SETTLEMENT: To give prompt and expedient solution to disputes, trying at all times to balance consumer relations. This method avoids the need to go to the corresponding delegation to formalize a complaint. REFERRAL TO THE DELEGATION: To provide necessary advice and attempt immediate conciliation; if this is not possible due to the supplier’s lack of means, or for lack of consumer satisfaction, the latter will be referred to the corresponding delegation to formalize the complaint. BROCHURES: To distribute graphic material in each module in order to keep consumers informed about their rights and obligations, and to spread practical advice, domestic technology, comparative prices, and others (triptychs on the rights of air and land commuter services, diptychs on consumer rights, domestic technology, and Consumer Magazine). We are an institution that protects and promotes consumer rights, ensuring fair trade relations that strengthen the culture of responsible consumption and better market access to products and services, ensuring truth, legality, and legal certainty within the regulatory framework of recognized Human Rights for the consumer population. Baggage Weighing on Consumer Scale to know exact weight (AICM only). Receiving complaints or irregularities detected in suppliers of goods and services. Free distribution of Consumer Magazines. Hours of service: 07:30 to 20:30 hrs. Module on 1st floor facing Hall “K” next to Wings restaurant and below Restaurant Tock.